ROCKFORD, Ill. – Of the 57 players listed on the 2018 Training Camp Roster announced by the Chicago Blackhawks (NHL) earlier today, 27 skated with the Rockford IceHogs over their careers including 21 from the 2017-18 season. 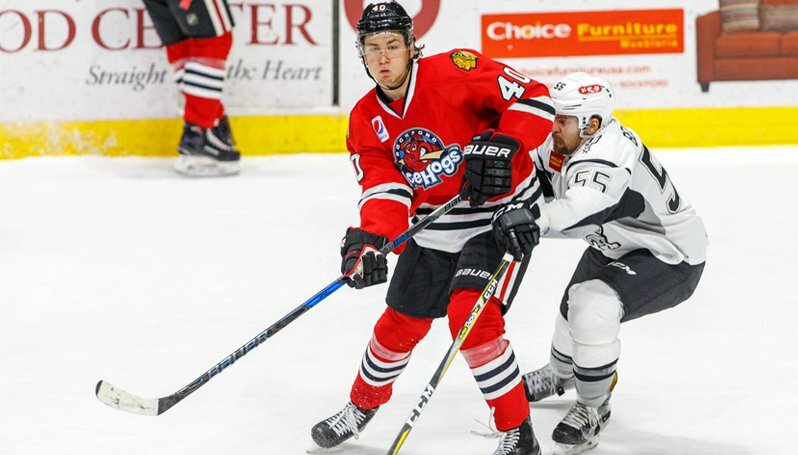 The Blackhawks’ training camp roster features the top four 2017-18 IceHogs scorers including Anthony Louis (44 points, 30 assists), leading goal scorer Matthew Highmore (24 goals, 43 points), Tyler Sikura (39 points, 23 goals) and Luke Johnson (30 points, 17 assists). Forwards Victor Ejdsell, Alexandre Fortin, John Hayden, Matheson Iacopelli, David Kampf, Graham Knott, Andreas Martinsen, Nathan Noel, Henrik Samuelsson, defensemen Carl Dahlstrom, Gustav Forsling, Erik Gustafsson, Darren Raddysh, Luc Snuggerud, Joni Tuulola and goalies Collin Delia and Matt Tomkins are also featured on the camp roster from last season’s IceHogs squad. On Saturday, fans will get their first chance to see the Blackhawks as they will host their annual Training Camp Festival at the United Center with a scrimmage beginning at 11 a.m. General admission tickets for Training Camp Festival are on sale now for just $5 at chicagoblackhawks.com or by calling Ticketmaster at (800) 745-3000. A detailed training camp schedule and roster are both attached. The Rockford IceHogs begin their 20th Anniversary season in October! Don't miss all of the exciting action as the IceHogs celebrate their historical season in the Forest City! Opening Night is Saturday, October 13 at BMO Harris Bank Center! Ticket packages for the 2018-19 season are ON SALE NOW and start as low as $105! Reserve your ticket package and select your benefits at IceHogs.com!